What Kind Of BOPP Self Adhesive Printed Tapes Can't Be Bought? BOPP Self Adhesive Printed Tapes often appears in our lives, bit by bit, big things and small things, may use him, is a necessity in our life, he is often used in the packaging industry, there are many transparent tapes on the market, mixed with people, we as a layman How to buy scotch tape? What kind of scotch tape can't be bought? 1. Yellowing - This yellow refers to the unnaturally dilapidated yellow, yellow tape that was originally a normal category, but that yellow is a natural clear color, and the quality is poor. It is very turbid due to poor quality of the gel or long aging time. 2. 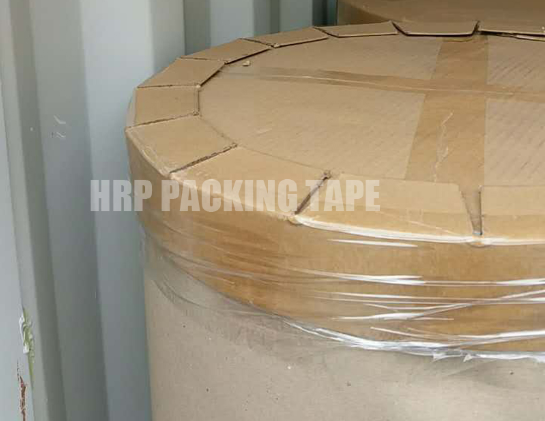 Too thin - thin BOPP Tape Jumbo Roll is good, but too thin will bring a problem, that is, it is easy to pull uneven, resulting in irregular fracture, affecting future use, how to balance thickness and strength, this is also the tape manufacturer Has been searching for. 3. Edge burr - the burr on the edge of the tape is a performance of the manufacturer's process is not up to standard. In this case, no matter how tough your material is, it will easily tear open a smashing mouth. This kind of consequence is the same as the previous one and will have a serious impact on the experience. Previous: Why Does The BOPP Jumbo Roll Smell?